With the Wiggle shopping App live for just over a year the team wanted to know what they should work on next. Was there a great new feature we should be developing or were there bugs that needed fixing? I love talking to our customers so when the App team asked me to set up a usability test for them on the App I jumped at the chance. 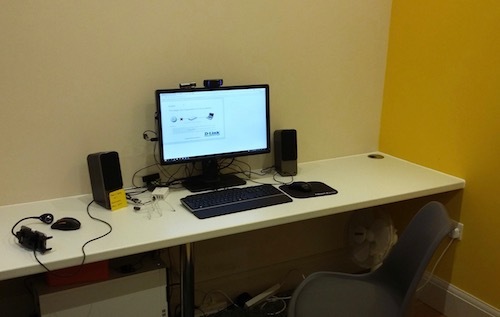 A usability test is when we put a participant in a room with a computer or other digital device and ask them to complete various tasks to see if there are any problems. If they can do it without any prompts from the facilitator then you know your product works well, but if they struggle or have to ask for help then you know you still have work to do. I was given just over three weeks to find a lab to test in, find some participants and decide what to test. I started by finding a lab as this would determine when we could run our test. After much searching I had to admit that there were no labs along the South Coast and moved my search to London. Here I found a good selection of labs which would allow us to test using mobile devices. After a trip to London to visit some I went with Fluent Studios. They are only small but have some lovely spaces and the best mobile testing rig that I have seen. With a date set I made sure the team were ready to observe and turned my attention to organising some participants. 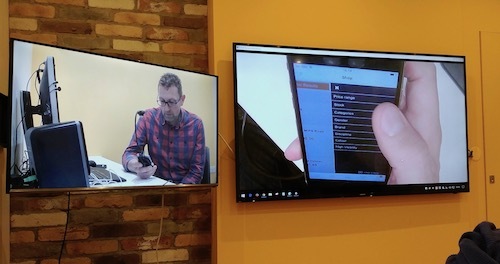 We had decided we wanted to test with Wiggle customers, but they did not have to have used the App. So I wrote a screener questionnaire which would allow us to see when they would be free; what sort of operating system they used - iOS or Android; what they use their phones to do now; if they had shopped with us before and whether it was via the website or the App. I created this in SurveyMonkey then got the social media team to tweet it out for me. With seven sessions to fill I was not sure I would get enough responses, but I got more than enough allowing me to pick people who I felt would be most useful for us. Lastly I worked out what to test. The team were interested not just in if there were any bugs or usability issues with the App, but also if there were any features we could provide which would encourage people to use the App. With this in mind I decided to split the session into two parts. I would start with a short interview which would look at what sort of apps people currently have on their phones, how they shop for products, what they like and what they hate, then move into doing tasks on the App looking for bugs and usability issues. On top of all this I wrote instructions for the team who would be observing so they understood what we were looking for, adding explanations of what a failed task would look like against a task the participants had no problem completing. Surprisingly the team does not have a test account to use, so I had to set up an account and organise voucher codes to allow us to buy things on the App and make sure Customer Services and Payment Protection were aware of what we were doing so the orders did not get processed and the test account did not get shut down while we were testing. The day of the test dawned grey and damp but the teams spirits were high. 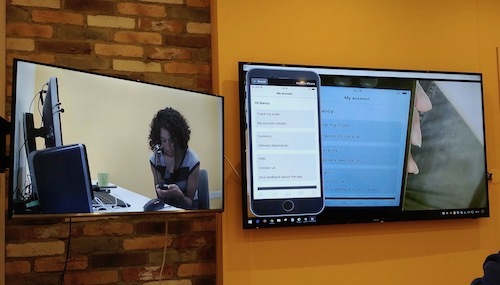 The sessions went really well and although there were some issues with the internet connection during the second test, and two participants cancelled it was still brilliant to watch our actual users interacting with the App. Although the day went really well I have leant a few things I could do better next time. For instance running through the whole ‘test’ a couple of times with a colleague before the day. This would have flagged a couple of behaviours within the App and helped me to be a little bit more prepared. Rather than the bitty testing I did the day before. The last task was to write up the results of the day using my own notes and my colleagues notes. I then presented this back to the team, with thoughts on next steps for each issue we observed. At the end of the day we had a short debrief which allowed everyone to discuss the main issues they had seen. The overall results were very positive, especially when we realised that some of the issues would be fixed with projects currently in progress or due to run next year. The other issues have been added to our road map for next year allowing us to really make a difference to our users.